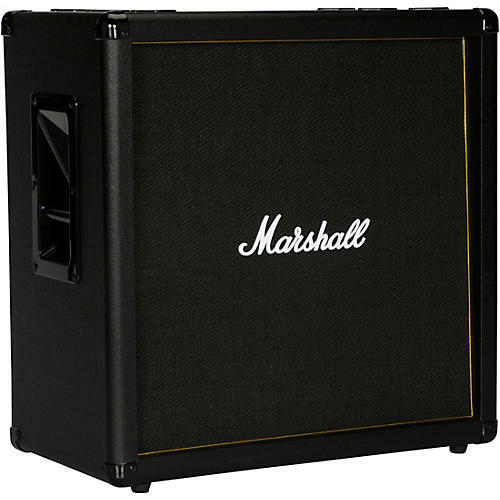 Deliver Marshall thunder to the masses with this straight 4x12 cab. The Marshall MG Series MG412BG 120W guitar speaker cabinet is loaded with four 12" custom-designed speakers that really crank out that authentic Marshall tone. The road-ready cab features reinforced corners, recessed side bar handles, and is replete in iconic Marshall colors for added stage presence. Dimensions: 26.5" x 26.25" x 14"